Join us for the annual Coldwater River Through Time Living History Event on May 24-27, 2019 at Heritage Park in Coldwater, Michigan. This “journey through time” is held on Memorial Day Weekend and is one of the best free events in Michigan! Children and adults will get a hands on experience with these featured historical timelines: 1600s Voyageurs/Fur Trade Era, French & Indian War, Revolutionary War, War of 1812, Texas Revolution, Civil War, Indian Wars, Spanish-American War, World War 1, World War 2, Korean War, and the Vietnam War. The public is invited to attend this free event and participate in a variety of festivities which will begin on Friday. The Coldwater River Through Time Living History Event is held in conjunction with the annual Branch County Civil War Days. This living history event is filled with civil war historical clothing, Union and Confederate units with live, authentic cannons and firearms to historically complete the Civil War drills and Battle reenactment. Throughout the Branch County Civil War Days weekend onlookers can observe civil war period craftsman at work, as well as asking them questions about life in that era of national conflict. Sunday 9:00 a.m. – 4:00 p.m.
9:00 a.m. – 3:00 p.m. Education Day for over 1000 children. This is open to all schools, public, private, home and their families. Not only will the children and their families get hands on experiences, they may also purchase food and souvenirs whilst enjoying their day with us. Our education day is free of charge! 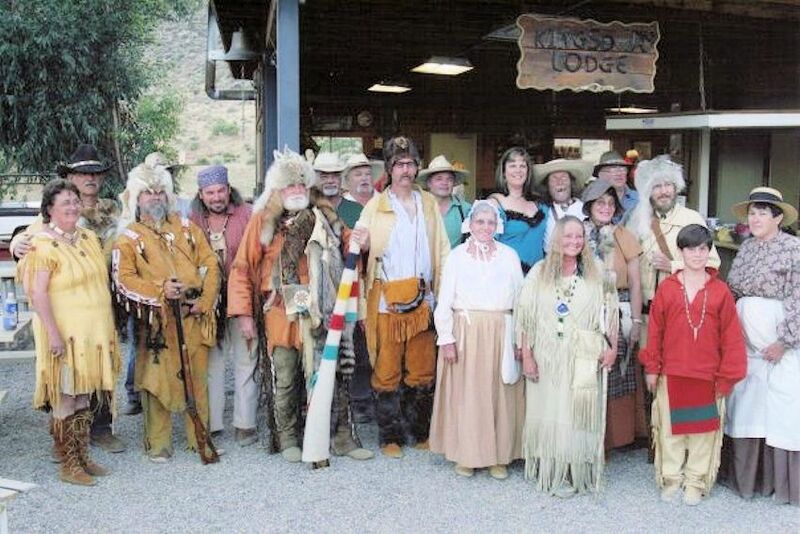 5:00 p.m. – 7:00 p.m. Catch the Steam Train through Time student train from Coldwater to Quincy and back, enjoy a wild west style robbery, a civil war battle or other historical battle and a cowboy shootout. Veterans and School aged children ride for free, children must be accompanied by a parent or adult. Board the train at 29 W Park Ave, Coldwater, MI. 7:00 p.m. – 10:00 p.m. Join us for Karaoke in the Pavilion Tent at Heritage Park. Music provided by: Rainbow Key Karaoke. 9:00 a.m. – 11:00 a.m. Board the Train Through Time! witness a train robbery and historical battles! Board the train at 29 W Park Ave, Coldwater, MI. This train ride features a wild west themed train robbery, western style shoot out and a civil war or other historical battle. Activities, Demonstrations, Skirmishes & Food! 9:00 a.m. – 4:00 p.m. Come enjoy the food and festivities at this family fun and educational event. Enjoy some refreshing tea with Mrs. Lincoln. 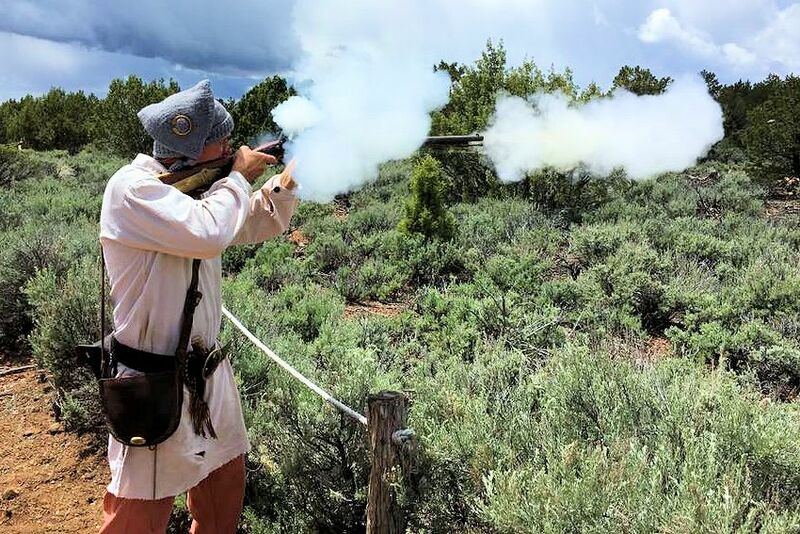 Watch the battles and skirmishes, Witness the thunder of the many cannons being fired, enjoy live music, a Vintage Base Ball Game, interact with Native Americans, Trappers, Traders, Pioneers, Service Men and Women. Make a candle or make some rope. Pet farm animals and look at the cannons and vehicles from the various wars. Learn how to start a fire the old-fashioned way, learn how to make soap, turn fleece into yarn and so much more! See Military and civilian impressions, demonstrations, early setter encampments, drills, battles, period craftsmen and craftswoman at work. See the wigwams and tipis, enjoy Native American drumming, watch a hawk and knife throwing contest. Toss some horseshoes, participate in a potato sack race and then help in a tug of war competition. Come see what it was like to live during the many timelines being portrayed. Shop at our many merchants, sutlers, blanket traders and food purveyors, purchase some raffle tickets for the numerous items being raffled off both Saturday and Sunday. 5:00 p.m. – 6 p.m. Catered reenactors meal, for those joining us, please don’t forget to purchase your meal tickets! 7:00 p.m. – 10:00 p.m. Return and Join us for our USO Dance! Great music! food and beverages will be available for purchase during the dance. 9:00 a.m. – 4:00 p.m. A non-denominational church service starts our day. Rejoin us for more great family fun, entertainment and historical education. 8:30 a.m. Join us for the parade uptown. The parade starts at the corner of East Chicago and Hudson Streets and goes through downtown on Chicago Street. Mark your calendar today so you don’t miss the next Coldwater River Through Time Living History Event on Memorial Day Weekend at Heritage Park in Coldwater, Michigan.